[ #MPC #Pixar ]MONTREAL -- MPC and Fabric Software have announced their collaboration to integrate the Fabric Engine development framework with Pixar Animation Studios’ RenderMan. Initially developed by MPC, Fabric for Pixar’s RenderMan is an extension to Fabric Engine that enables technical artists to leverage the award-winning renderer from within Fabric, either directly from Fabric’s KL language or using the Canvas visual programming system. 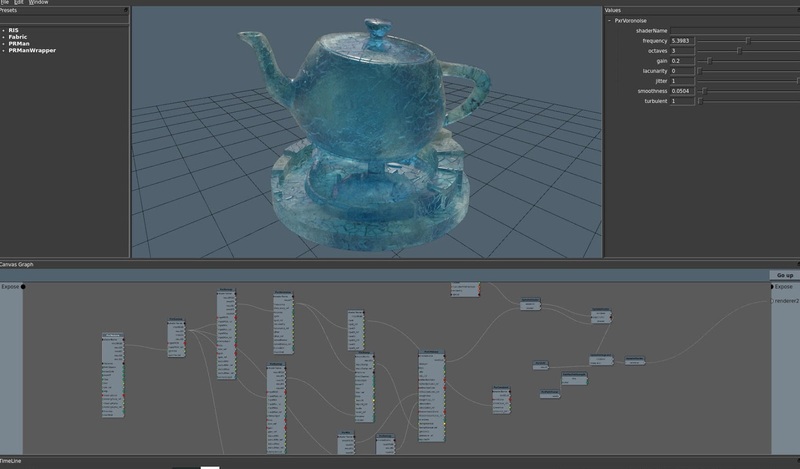 Fabric for RenderMan provides full binding to the RenderMan Interface and Ric API (ri.h and Ric.h) giving users access to these functions natively in Fabric, enabling powerful yet efficient workflows such as lighting and shader authoring.